It is probably a safe assumption that every teacher has heard a student mutter "I can't do this" or "This is too hard." They believe that the task is beyond their ability and they give up. You have probably also encountered those students who, when faced with failure, reflect, take a different approach to the challenge and persevere. They understand that they just haven't succeeded YET. They understand that with reflection and practice there is a very good chance that eventually they will succeed. Carol Dweck would refer to the first example as a fixed mindset and the second is a growth mindset. Individuals with a fixed mindset believe that abilities are fixed...you are good at something or you are not. Persons with a Growth Mindset tend to view abilities as progressive. They try, reflect, adapt and try again with the belief that they will keep improving and eventually succeed. This is a trait that many innovators and problem-solvers possess. It is one that employers seek out. Can a mindset be altered? 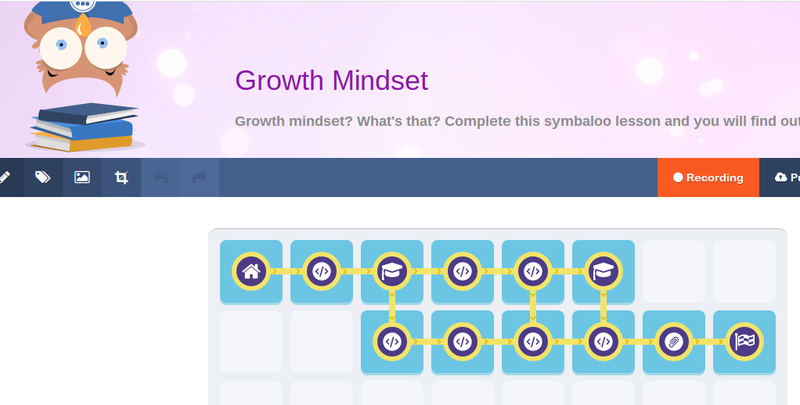 Can an individual with a fixed mindset develop a growth mindset? Studies conducted by Mindsetworks, founded by Carol Dweck, suggest we can indeed change a person’s mindset from fixed to growth, and when we do, it leads to increased motivation and achievement. In a study in which seventh graders were divided into one group that received memory training and a second group which were given training in growth mindset the first group continued to show declining grades, but the growth-mindset group showed a clear rebound in their grades. Growth Mindset is not directly addressed in British Columbia’s redesigned curriuculum but is a good fit with he Personal Awareness and Responsibility Competencies which include self-determination and self-regulation. In exploring Growth Mindset I discovered a wealth of resources that explain and illustrate Growth MIndset. I curated them in a Symbaloo lesson. Curious to learn more? Click on the link and let the journey of discovery begin!